Whitehouse Vet Dr. Randy M. Rannals established the Rannals Small Animal Hospital in 1979, after graduating with high honors from Texas A&M University in 1977 with degrees in Bachelor of Veterinary Science and Doctor of Veterinary Medicine (D.V.M.). He practiced for two years in Tyler before opening the clinic in Whitehouse. He was born in Arkansas, but moved to Texas as quickly as he could, coming to Tyler in 1965, where he grew up. After graduating from Robert E. Lee high school, he attended Tyler Junior College before transferring to Texas A&M with his new bride, Sammi. He enjoys all aspects of small animal medicine and surgery, but has a particular interest in cardiology and diagnostics. Recent additions of digital radiography, digital ultrasound, and integrated blood lab equipment have added to the excitement and capabilities of the practice. He and his wife, Sammi, raised all four of their children in Whitehouse. All attended and graduated from Whitehouse schools. Their two daughters with their own families still live in the Tyler area, while their two sons both make their home in Denver. They currently have seven outstanding grandchildren. Dr. Rannals enjoys pursuing guitar and is a frustrated golfer. Traveling often to Colorado to visit their kids, he’s become an avid day hiker and occasional snow shoer. He is an on again-off again Cowboys fan, but really loves the Texas Rangers. And of course, he loves spending time with Sammi and the family, grilling burgers or downing tamales. Both Dr. Rannals and Sammi are very involved in their church in Tyler. 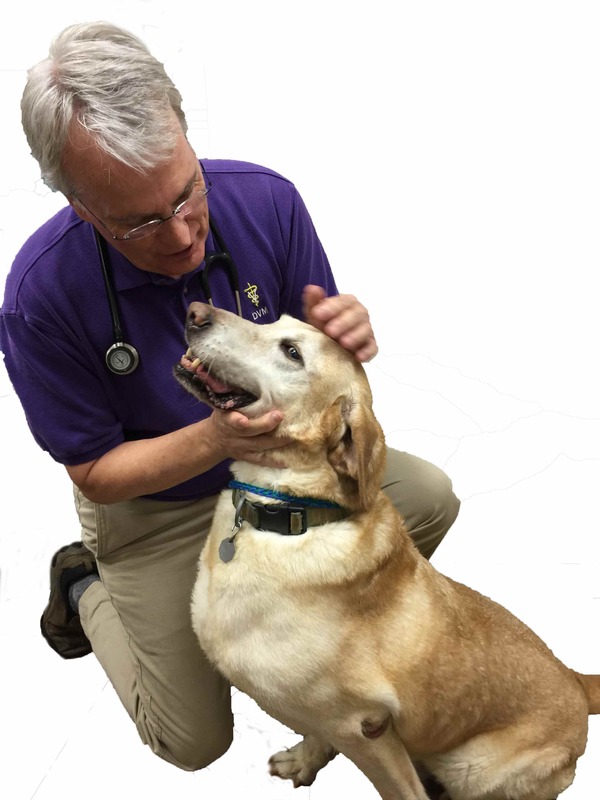 Dr. Rannals continues to further enhance his skill set in veterinary medicine by attending numerous seminars across Texas each year. Advances in medical treatments, veterinary dentistry, ultrasound diagnostics, and feline medicine are exciting and are offering the opportunity to improve and extend the lives of our pets.